Many groups and prominent individuals in the country say it is time to rejig Nigeria’s security architecture. One of the groups have vowed to drag the President to the International Criminal Court at the Hague over insecurity in the country. The President is facing growing pressure to sack his security chiefs over indiscriminate killings across the country. Apart from declaring its resolve to drag the President to the International Criminal Court, Justice For All-GH on Monday 21/1/2018, took its view even a notch further by asking the President (The Commander-In-Chief) to resign. According to the group, President Akufo-Addo and his government have breached their social contract with the Ghanaian people by their failure to protect their lives and properties. In very many cases, the circumstances surrounding the killings and destruction suggest complicity by top Npp officials. The group has also resolved to drag the heads of the various security Organizations before the court as well. “How on earth can one justify the recent killing of the Tiger Eye operative in Madina? What relevance is the intelligence gathering by the BNI, the Police CID etc if individuals and communities can be attacked and some slaughtered without the security agencies providing rescue efforts? The group asked. The group said, Ken Agyepong is a criminal and a fugitive, who is running away from the law. He is responsible for Ahmed’s murder and runs to China to seek refuge. The police authorities cannot continue to condone acts of criminality simply because Ken Agyepong is a lawmaker, financier of the Npp, a close confidant of the President or, a rich man. 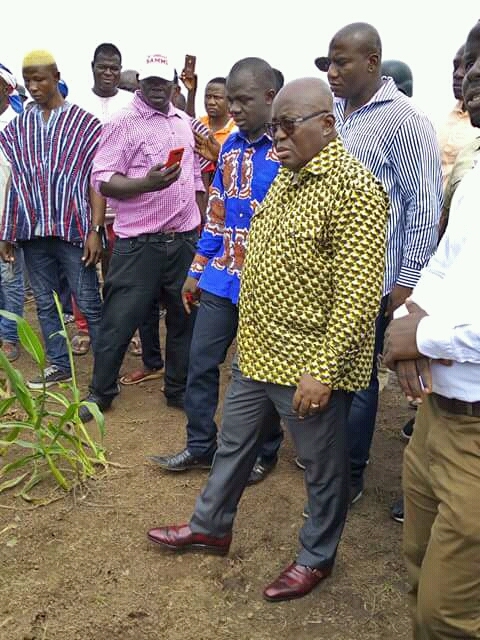 The group said President Akufo-Addo’s silence is mind boggling since Ken Agyepong said was fighting the Tiger Eye group because of its “agenda” against him (President Akufo-Addo). The President’s long silence on Ken’s pronouncements and actions against Anas Amereyaw Anas and his colleagues can appropriately and rightly be interpreted to mean total endorsement. The group said. The questioned why the state did not offer protection to the Tiger Eye operatives in spite of all the threats issued to them by Ken Agyepong and persons who were affected by the Number 12 exposee.